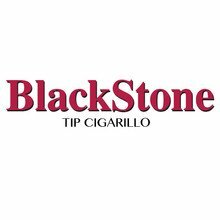 Blackstone Tipped Cherry cigars are made with an exclusive blend of pipe tobacco and offer satisfying and relaxing flavors with pleasant tastes of sweet cherry and classic tobacco with an intoxicating aroma. Packaged in handy packs of 5, the plastic-tipped cigars are perfect for those on the go. I kinda ordered these to offset the increased price of regular Black & Milds. To my surprise, these are very good. Nice change of pace...and when you smoke too many...the sweetness lets you know to back off..which is good too! Great tasting and smoking cigar. Fast delivery. I joied so I could easily get my cigar brand when I needed it, will you be restocked soon???? Cigars are fresh, price is great!. Prompt delivery. aside from the occasional loose or leaking tip, and the occasional too tight packing, a good purchase. Tip helps while working and smoking , noticing they seem to burn a little faster. Don't last as long.